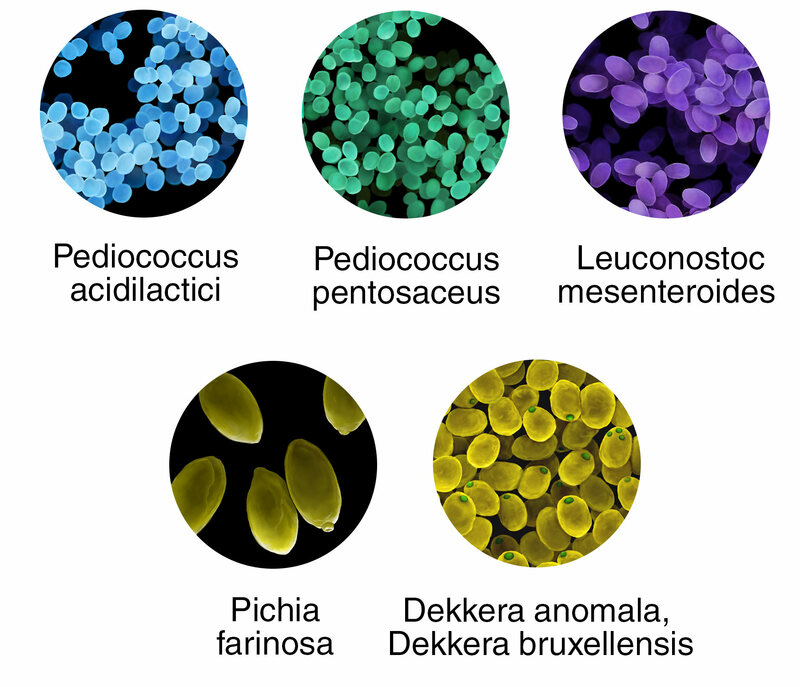 Pediocins & Nisins break down toxins from bacteria and fungi which are causes of disease. 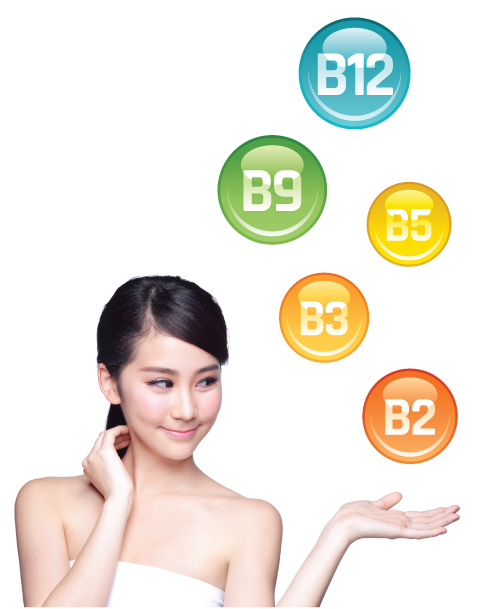 Vitamin B3 (niacin) – improves the structure of the skin and combats the onset of dark spots and pigmentation while helping to build up the outer layer with healthy fatty acids. 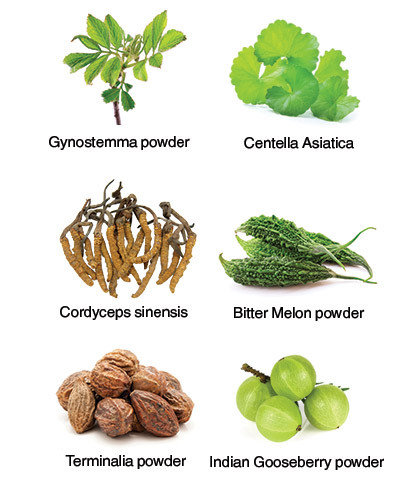 This enables the skin to retain moisture and protect against damage. 4. 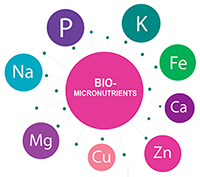 Bio-Micronutrients: Strengthens various bodily systems so they work more effectively. 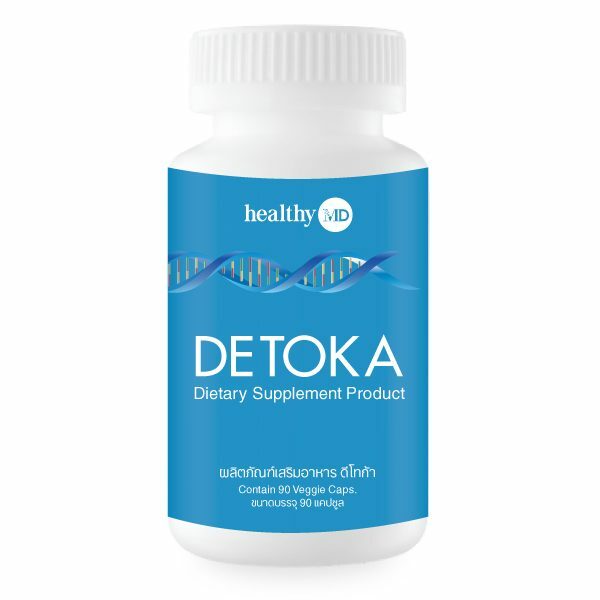 Promotes the production of collagen in the skin, helping to bind healthy tissue together. 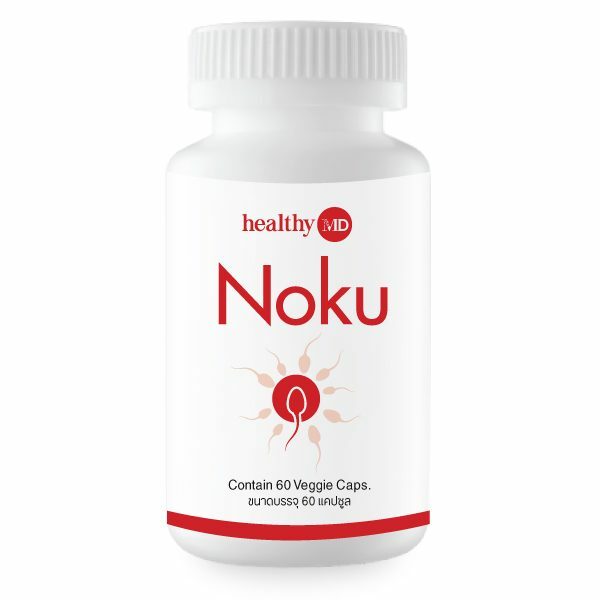 Take 3 pills 2 times a day when your stomach is empty, namely before breakfast and dinner. 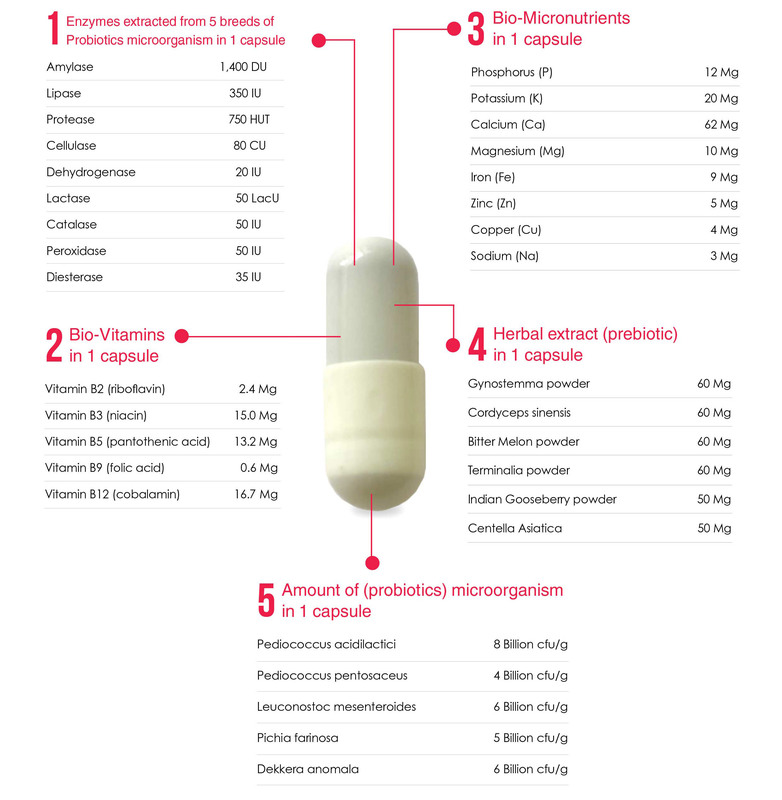 Patients who are taking prescription medication from doctors should take alfa 9 before 30 minutes after taking other medicine. It is recommended that you drink 1 large glass (250 CC) of water when taking alfa 9. On average, you should drink 2 liters of water per day. 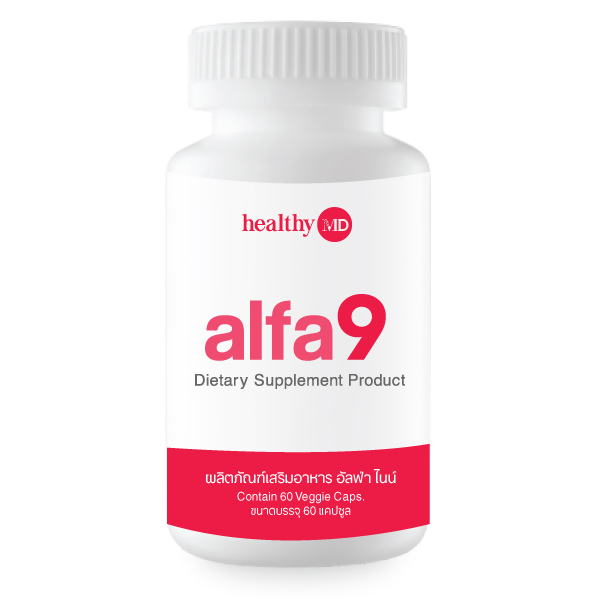 After receiving injuries from a motorbike accident, I decided to try taking alfa 9. One week later the wound had healed with only a scab remaining. 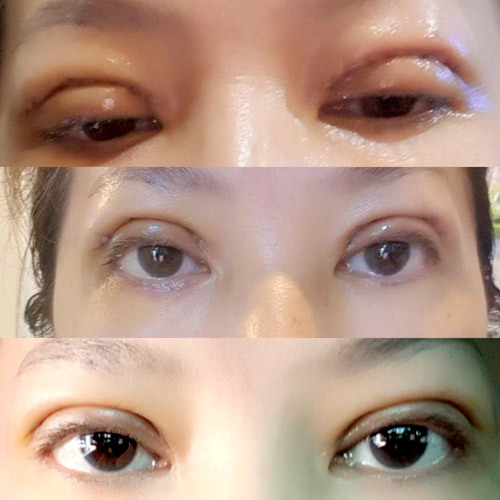 I decided to take only alfa 9 after having double eyelid surgery. 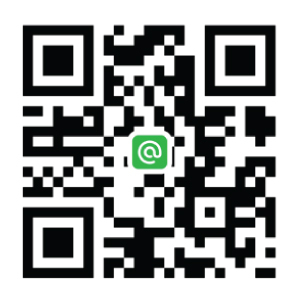 After taking it for 1 week, the wound became dry. 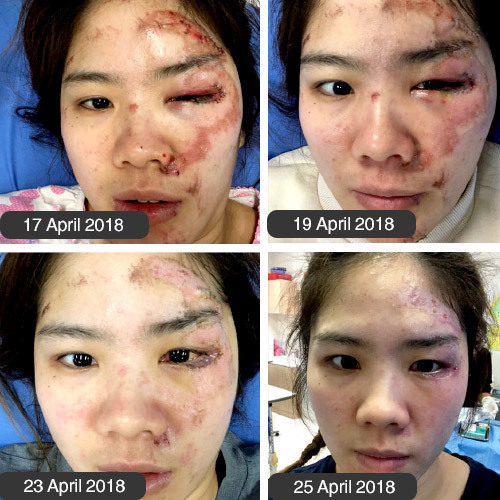 Now I have fully recovered and can open my eyes wide in just a short time. 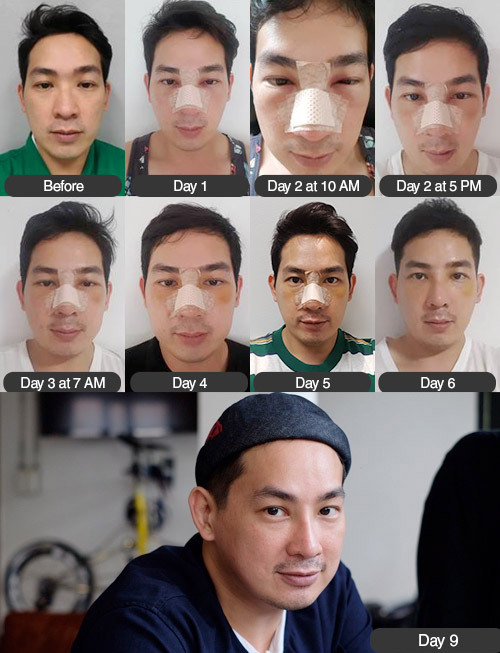 He had Rhinoplasty.After taking Alfa 9 for 9 days, the wound became dry and the Inflammation was reduced just a short time.